I'm Susan, the baker, entrepreneur and cake stylist behind Cake Bloom, a flourishing, organic wedding cake company based in Sonoma, California. I don't have all the fancy sugar skills many wedding bakers have. My cakes are far from those classically "perfect" fondant creations some skillful bakers create. In short, I have a clear brand identity and a market for my baking brand, and that is the (not-so-secret) secret to how I've grown a thriving business doing what I love. Building a marketable brand isn't rocket science, but there is strategy involved that can make all the difference in helping you standout, especially in a saturated wedding market. I'd love to help you with yours, because, let's be real, this business is HARD work and if your clientele doesn't appreciate you, respect you or value your time, skills and effort, what's the point? You can dig into more of my background over here or dive right into some free tools I've created down below to get your business blooming today. 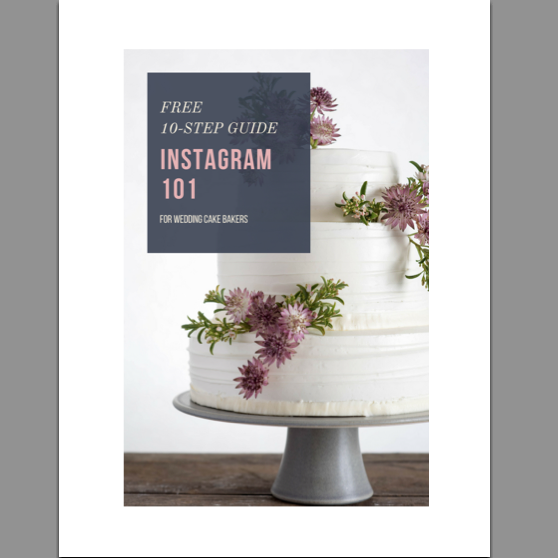 You've got the skills to make a beautiful cake, but when it comes to instagram, you could use a little help. 10 Easy Steps to help you clean up your cake feed, grow your following and start booking more clients (for FREE!) using instagram. The first step to attracting the types of couples you'd like to work with is identifying who they are. 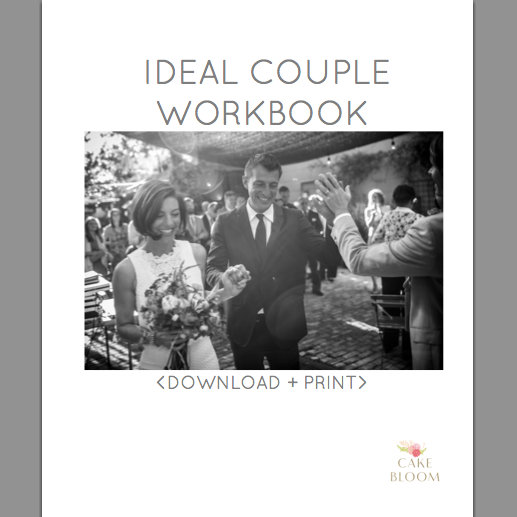 Grab my 7-Page Workbook to help you focus on the types of couples you want to serve (and stop luring in those couples who aren't the best fit).